Kendal’s newest art space, Cross Lane Projects, is opening on 28th June with an inaugural exhibition – Female Trouble. Running from 28 June to 24 August, Female Trouble brings female subjectivity to the forefront. 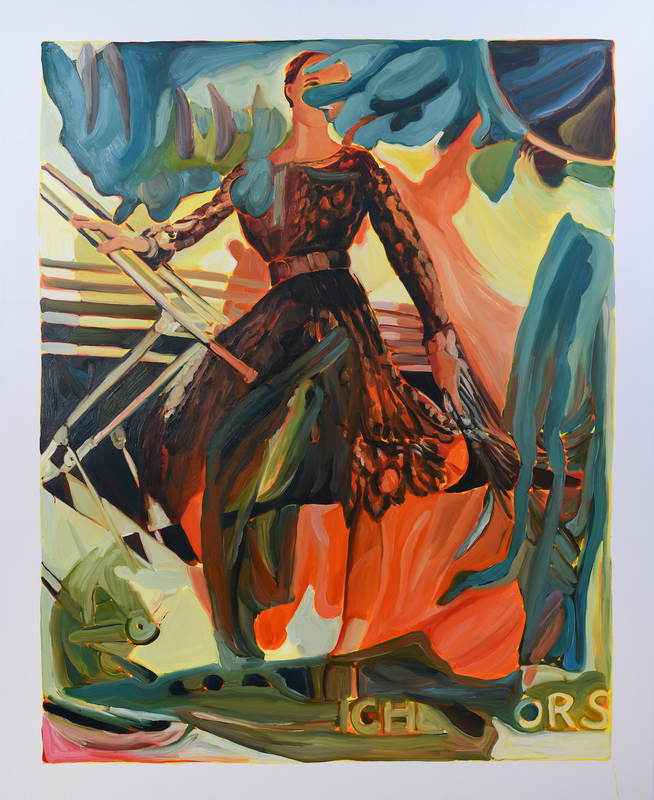 The exhibition will be co-curated by Vanya Balogh and Rebecca Scott and will feature a selection of new paintings by Rebecca Scott alongside prints by Dame Paula Rego. 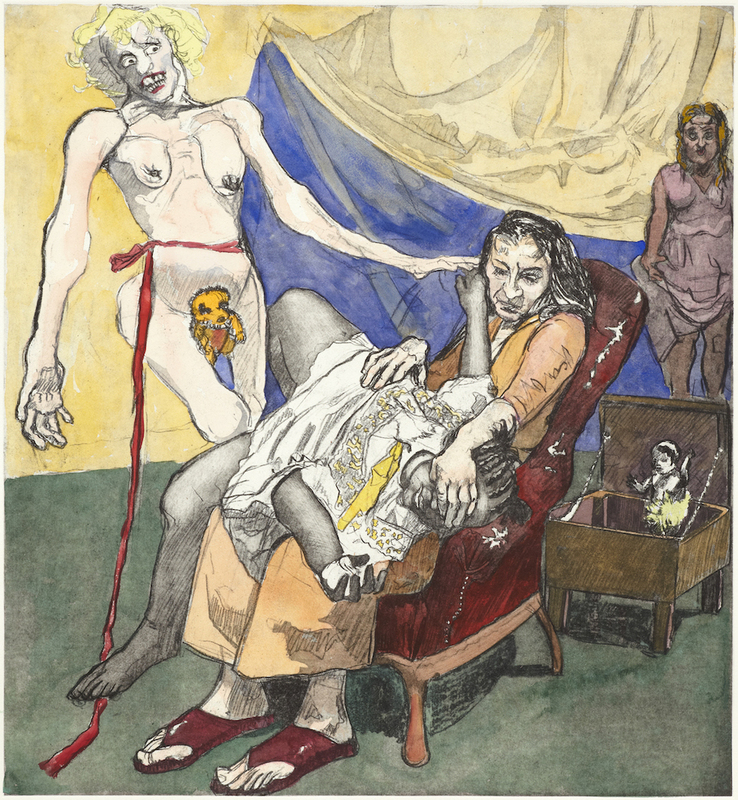 A major British artist, Paula Rego’s work is prominently featured in the exhibition All Too Human, currently on show at Tate Britain. Her prints often reveal complex stories about the sinister side of sexuality and draw counterpoints to Rebecca Scott’s paintings, which rework and playfully subvert public images of women from fashion magazines. After a public launch event on the evening of 28 June, the exhibition will be open from 12 to 6pm, Thursday to Sunday. 28 June to 24 August 2018. Thursday to Sunday, 12 to 6pm daily. Cross Lane Projects, 2 Cross Lane, Kendal, Cumbria, LA9 5LB. Female Trouble will be followed by a second exhibition at Cross Lane Projects, which will open in October 2018 and will present new work by sculptor Frances Richardson, winner of the Mark Tanner Sculpture Award for 2017/18. Rebecca Scott, (born 1960, Cumbria), is a British painter whose recurring theme is the exploration of female desire and its representation in contemporary culture and the mainstream psyche. Scott studied at Chelsea School of Art and Goldsmiths College. Dame Paula Rego, DBE (born 1935, Portugal), is a visual artist known for her paintings and prints reflecting feminism, coloured by folk-themes from her native Portugal. Rego studied at the Slade School of Fine Art and was the first artist-in-residence at the National Gallery in London.